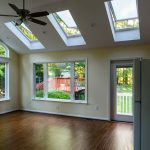 Natural sunlight is healthy! 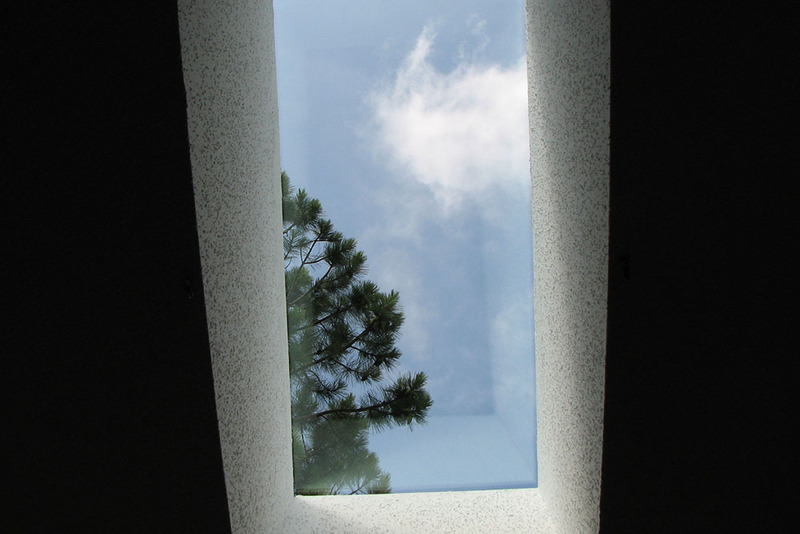 Bring some sunlight into your home with the installation of new Velux Skylights. 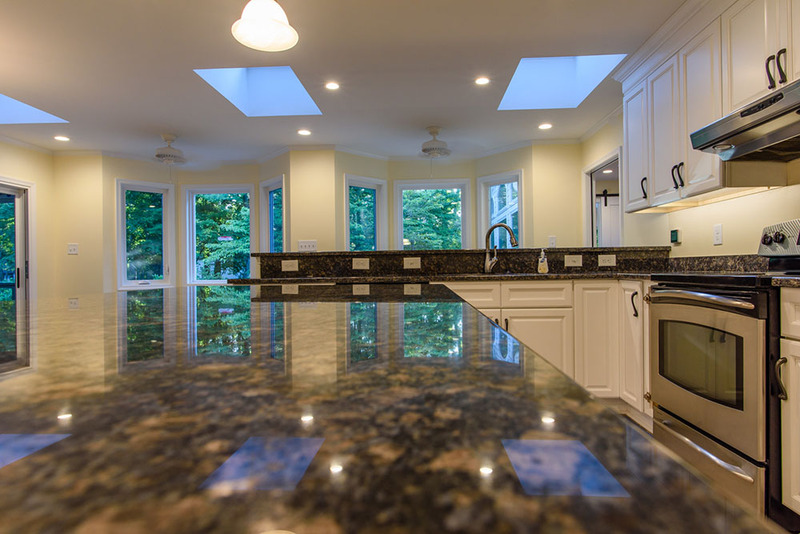 Or replace those bubbles with Velux Skylights to let the light in. 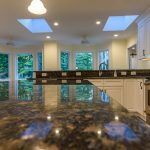 Because of their superior performance, Velux Skylights, Roof Windows and Sun Tunnels are the only brand of skylights installed by R A Jones, Inc. Our team is certified as Authorized Velux Installers, so you can feel confident that your Velux Skylights are properly installed. 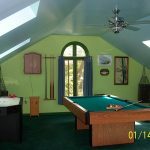 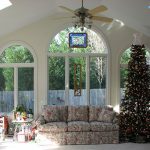 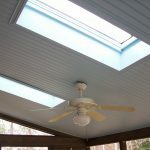 Velux Skylights in the cathedral ceiling are part of this sunroom addition. 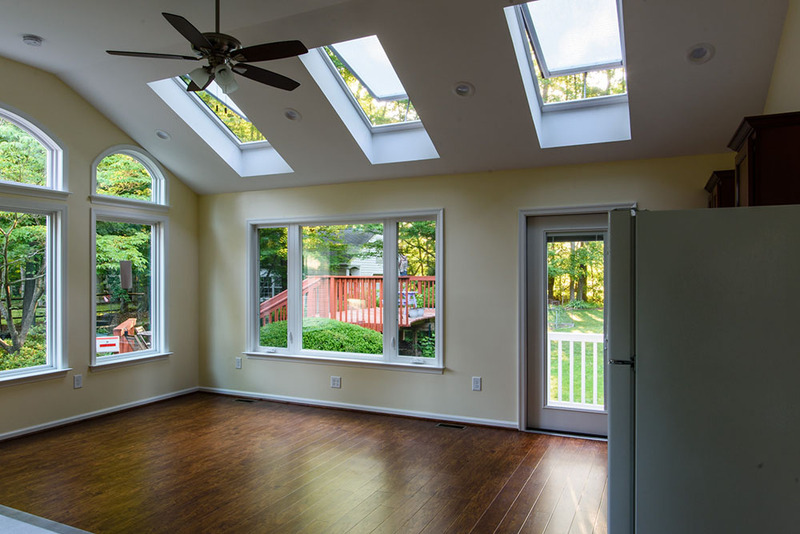 Velux Skylights bring the outside in. 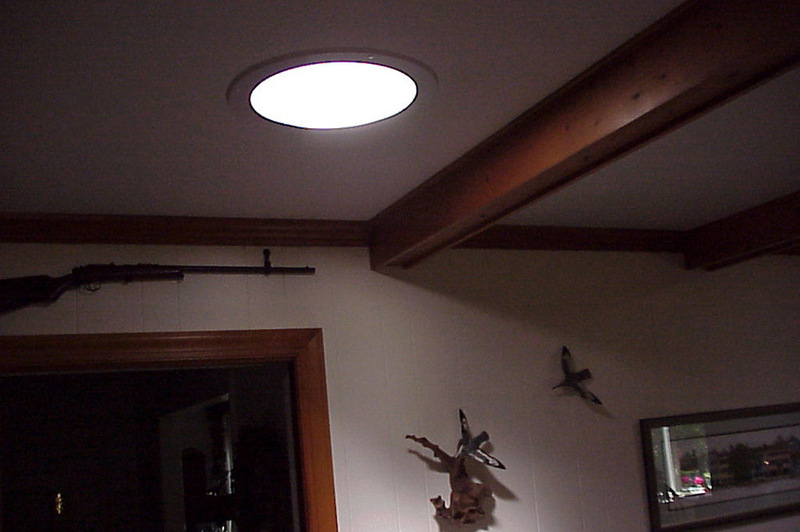 A Velux Sun Tunnel with its flexible duct will bring sunlight into any room in your home. 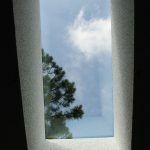 The Solar Powered Velux Skylights in this addition automatically close in the event of rain. 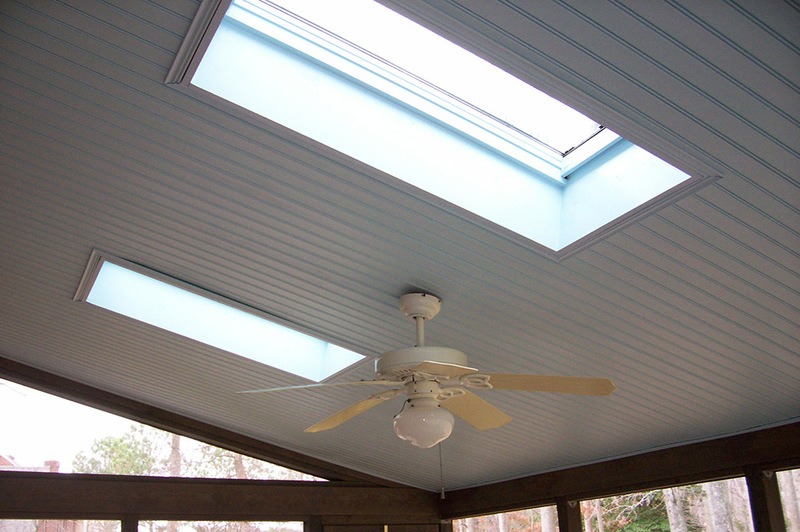 Velux Skylights are complimentary anywhere, even on a screened porch. 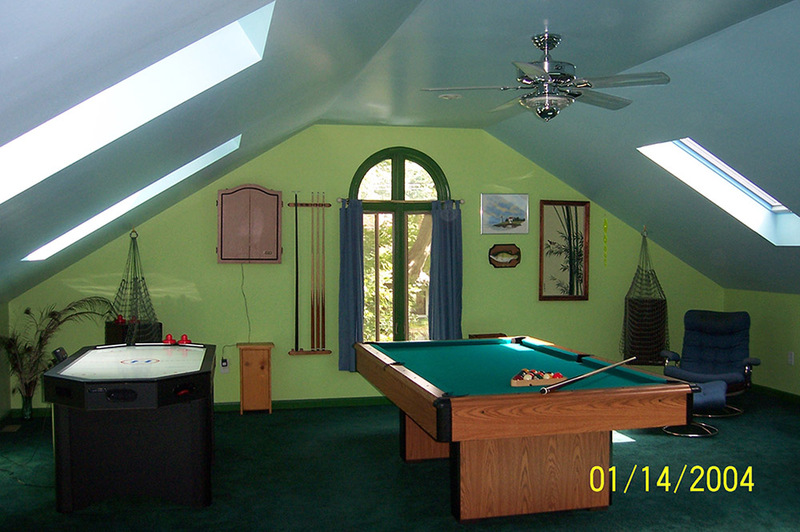 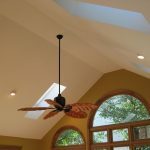 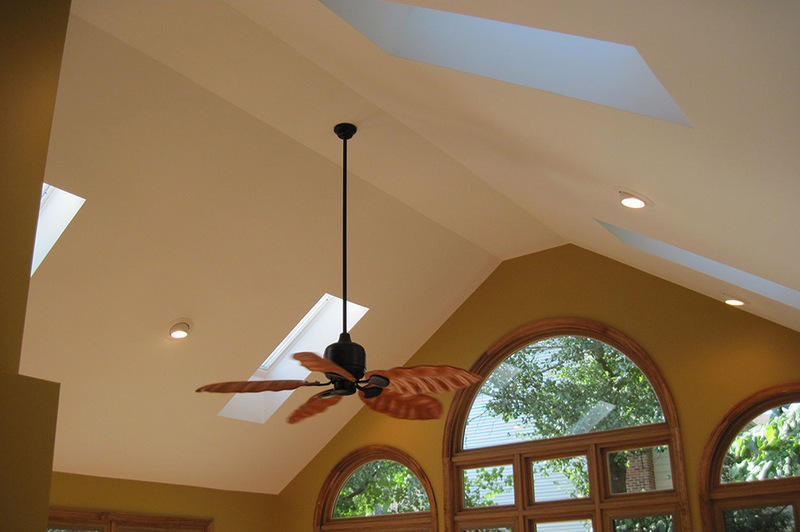 The room over the garage is the right place to add Velux Skylights! 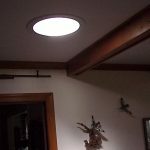 Sunlight is healthy! 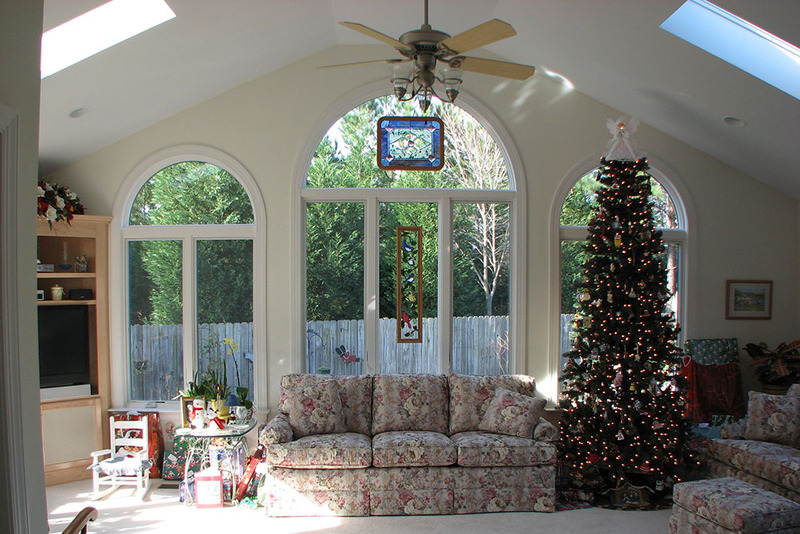 Bring it into your home anytime of the year with Velux Skylights.